Macmillan/McGraw-Hill Treasures. 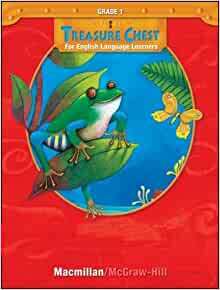 [Grade 1] : a reading/language arts program. [Diane August; Macmillan/McGraw-Hill School Publishing Company. ;] Home. WorldCat Home About WorldCat Help. Search. Search for Library Items Search for Lists Search for Contacts Search for a Library. Create lists, bibliographies and reviews: or Search WorldCat. Find items in libraries near you. Advanced Search …... Grade 1. Main Student Page > Grade 1; Oral Language Activities Unit 1 We are Special. Slide Show; Activity 1 ; Activity 2; Teacher Resources; Ready, Set, Move! Grade 1. Main Student Page > Grade 1; Oral Language Activities Unit 1 We are Special. Slide Show; Activity 1 ; Activity 2; Teacher Resources; Ready, Set, Move!